Georgia’s nickname is the "Peach State" even though Colorado has amazing peaches as well! Peaches are a great source of vitamins A and C.
There are two main varieties of peaches. They are clingstone and freestone peaches. One of the main differences between the two is that it is harder to remove the flesh away from the pit of a clingstone peach. Aka it's a clinger! Here's how to know you have the perfect peach: the flesh should have a slight give (but not be too mushy). Do a fingertip check to make sure it's juicy and ready to go. Health update: a large peach usually contains about 70 calories and 3 grams of fiber. There is the biggest peach cobbler in the world made in Georgia every August. It measures 11 feet by 5 feet. I'ts officially National Peach Month! 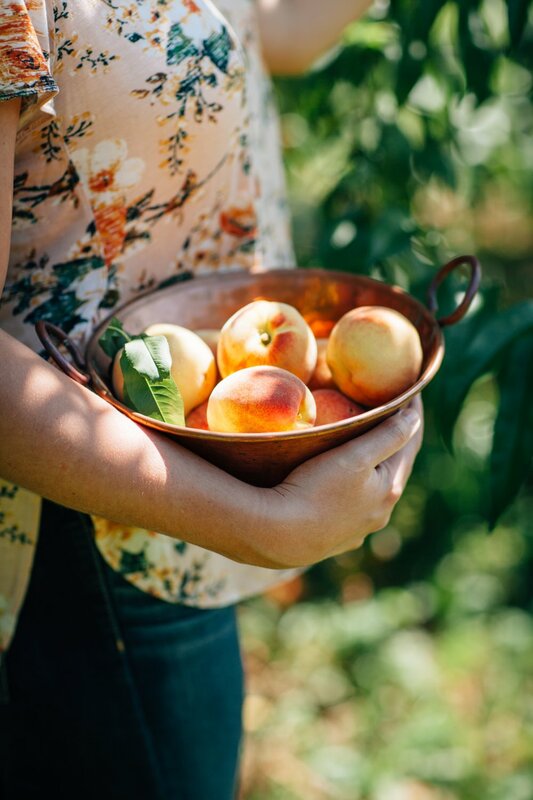 Every August we celebrate peaches and all their deliciousness. Eat peaches in June to the end of August to have them at their peak season. Palisade is the home of Colorado peaches and the first peach trees planted there appeared in 1882 by John and Jean Harlow. By 1888, after lots of turmoil and trial and error, Harlow had an outstanding year of crops. He even won first place for his peaches in 1887 at the Mesa County Fair. Peach days in Palisade started around the same time and now has turned into the famous Palisade Peach Festival. Peaches from Palisade are shipped all over the world and loved by many, especially us at the Arapahoe Cafe!